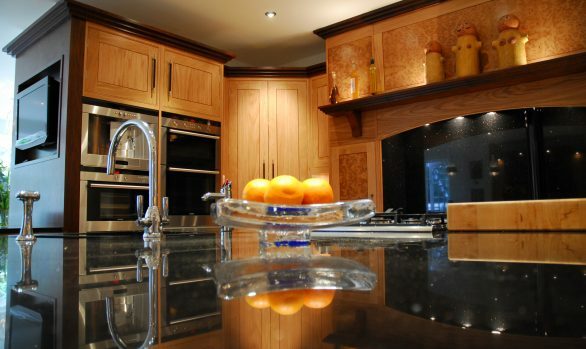 This solid oak Kitchen was Designed & Installed circa 2005 and features combinations of solid woods & beautiful burr veneers to produce a timeless look. 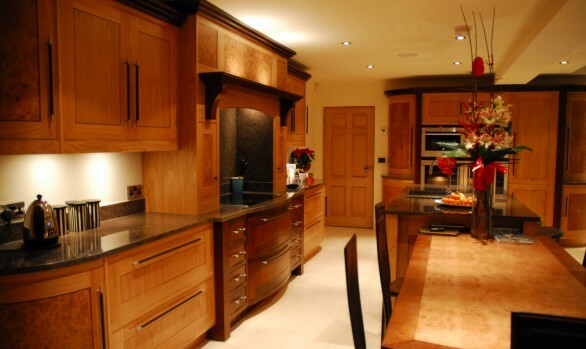 Each door & drawer has been constructed in solid oak with a walnut inlay around the panel of the door adding a just a small touch of detail that transforms the look of the kitchen. Although the appliances do look dated by today’s standards these Gaggenau appliances added function and practicality to the cooking area including warming drawers perfect for both midweek cooking and entertaining.